RecipeSavants.com Smart Recipes, European Recipes, Vegetables Recipes, Recipes Vegetables European Classic Vichyssoise PT1H Serves 4 Ingredients: 1 Tablespoon Butter 3 Leek Bulbs 1 Onion 5 Potatoes 0.25 Teaspoon Salt & Freshly Ground Black Pepper 0.25 Teaspoon Dried Thyme 0.5 Teaspoon Dried Marjoram 1 Bay Leaf 5 Cups Chicken Broth 0.25 Cup Heavy Whipping Cream In a large stock pot, melt butter over low heat. Add leeks and onions. Cook, covred, for 10 minutes. Add potatoes, salt, pepper, thyme, marjoram, bay leaf and stir to combine. Cover pot and cook for another 10-12 minutes. Add chicken stock and bring to a boil. Reduce heat and cook, particially covered, for 30 minutes. 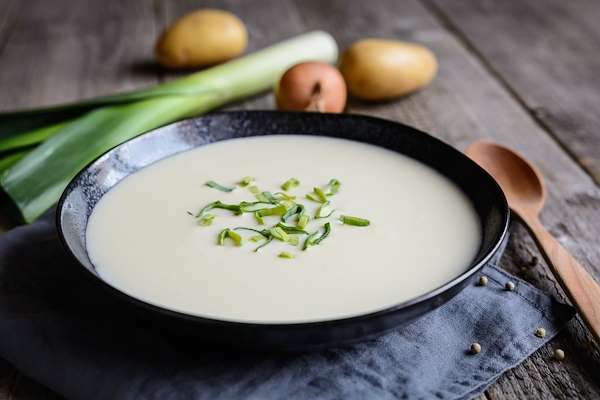 Add soup to a blender and puree until a smooth consistency is reached. Let cool. Add cream prior to serving. If you enjoyed this easy soup recipe, you'll love these fresh ideas! For Jewish people in Hungary, early summer is sour cherry season. 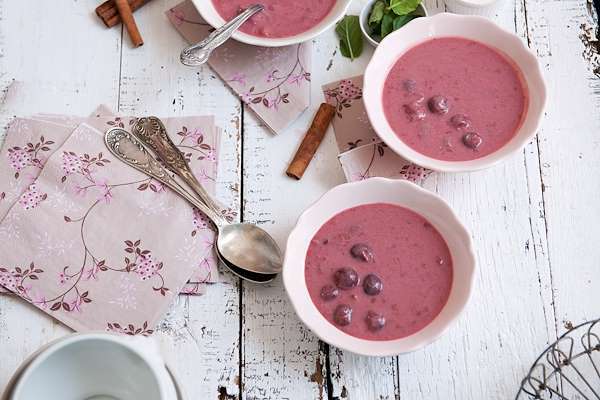 Since it coincides with Shavuot, they created a flavorful sour cherry soup that is thickened with sour cream. Cinnamon and lemon zest provide a little zing to the flavor profile. 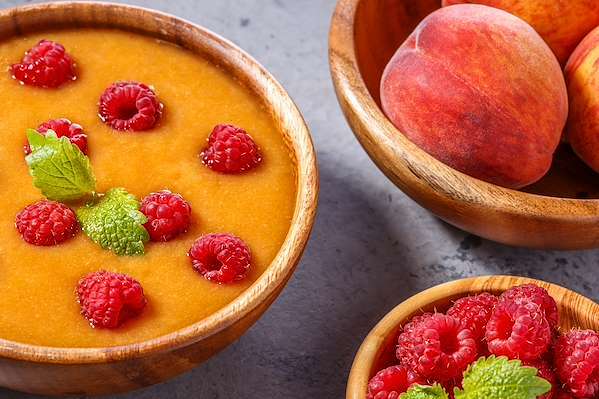 The fruit and its juices give the soup a gorgeous pinkish-purple color. It is perfect for an appetizer or dessert. This comforting soup is a delightful way to enjoy the bounty of autumn produce, like butternut squash. 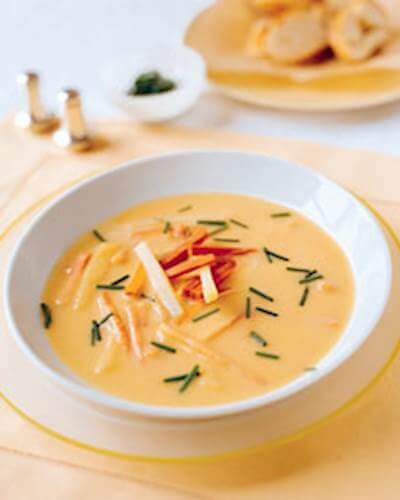 It is a velvety concoction of squash, fresh veggie stock and a treasure of aromatic spices. Crème fraiche boosts its creaminess, while the harissa provides a touch of heat.